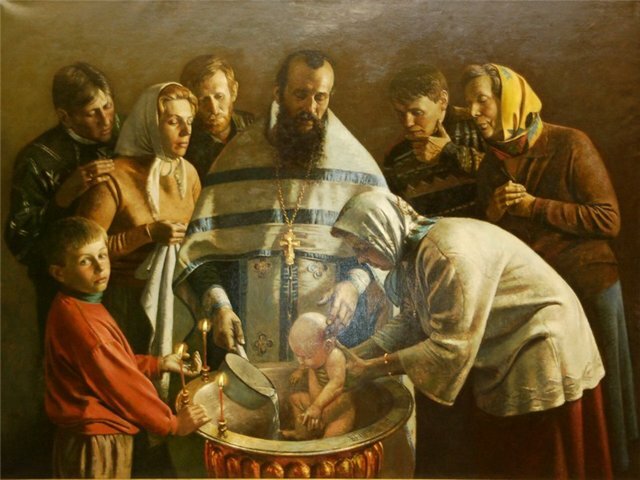 In the Orthodox tradition, all children up to seven years, receiving the sacrament of baptism, should be the godparents. However, not always physiological fathers and mothers could choose godparents for your baby. For godparents, parents have a responsibility before God for the spiritual upbringing and the churching of the infant receiving Holy baptism. Therefore, physiological parents is sensitive to the choice of godparents for your baby. Of course, every mom and dad want their children were good godparents. This means that the latter must themselves understand the basics of the Orthodox faith. And this, unfortunately, is not always the case. Therefore, to find godparents to your child can sometimes be very difficult. For example, the question may arise in front of mom and dad: what if no friends among the worthy cross? Is it possible in this case to have a child baptized at the age of seven years? The Orthodox Church advises every baby to have godparents. However, the Orthodox canons do not forbid in case of not having the passion to perform the sacrament of baptism on an infant. It is therefore necessary to ascertain with confidence the fact that the Orthodox churches can be made the baptism of a baby in the absence of godparents. The child's not his fault that he is not worthy godparents. Therefore, the Church has no right to deprive the baby the opportunity to take the sacrament and Christ combined. So do not despair those parents who have have serious issues when choosing godparents. Even if worthy of the godfather of the baby will not find the baptism will be done. In this case, the cross parent formally will be considered as the priest who performs the Ordinance. Some members of the clergy and did suggest to bring a child to baptism without godparents, godparents than parents who know nothing about the Orthodox faith.